order candles.. was not happy ..did not smell.. r this is the real thing..
Every time I have this on, I get remarks on how wonderful I smell. 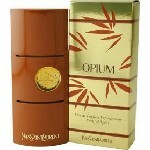 I love the opium body oil spray . Cant find it anymore. Love body oils over perfumes. Softer and fragrance warms as body warms up. Please bring Opium perfumed body oil back. Everytime I wear this fragrance, someone compliments me.